Blue Apron Part 1 + Coupon! What is Blue Apron? 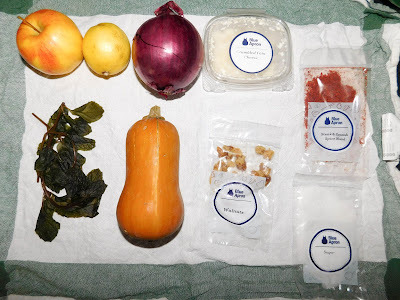 : Blue Apron is a weekly meal subscription box where you get to pick what meals you want to get each week or you can skip if you aren't interested that week. There's two options, a 2-Person Meal Plan where you get three meals per week with the perfect portions for two people each or the Family Plan where you get two or four meals made for four! How Much is Blue Apron? : Blue Apron is $59.94/week ($9.99/serving) for the 2-Person Meal Plan, $69.92/week ($8.74/serving) for the 2 Meal Family Plan, and $139.84/week ($8.74/serving) for the 4 Meal Family Plan. Like I mentioned before, you can skip any weeks you aren't interested in and you are able to cancel any time! If you want to get your two meals free, click here! All three meals came in a box with everything perfectly separated. The fresh ingredients were at the top of the box and were separated from the sealed meats on the bottom. The ice packs were still very much frozen when the box came in, so the food would have been fresh had I not brought the box in when they arrived. The little extras beyond the fruits, veggies, and meats were bagged and labeled for each meal. It was an easy way to figure out what was needed for each meal! 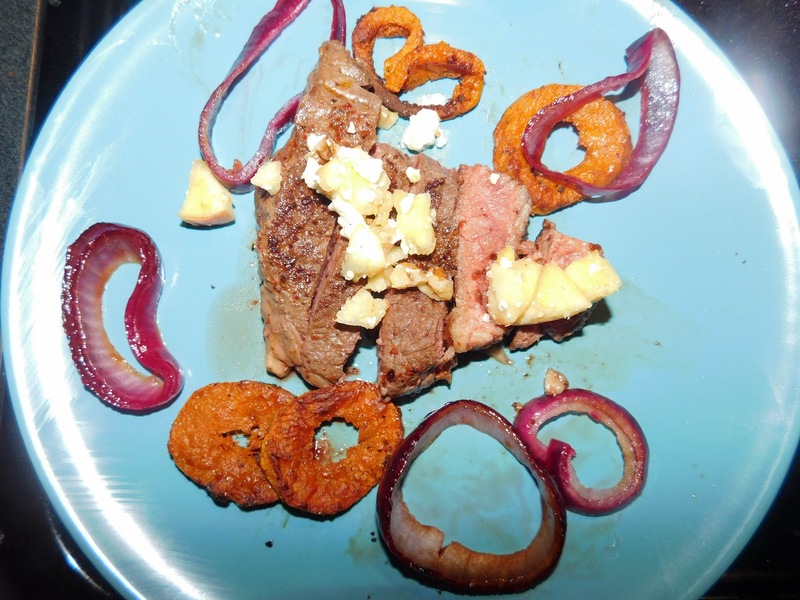 My first meal was the Sumac-Spiced Steak & Roasted Honeynut Squash with Pickled Onion & Apple-Walnut Salad. We're big steak eaters in this house, so this was an obvious choice. I wasn't sure of my pickling skills and we've never eaten squash prior to trying this meal, but I thought it would be an interesting thing to try. As you can see in this picture, my mint was very much wilted when I made this meal (two days after the box came in). It wasn't a huge loss, but it would have bothered me had the mint been something more pertinent to the meal. 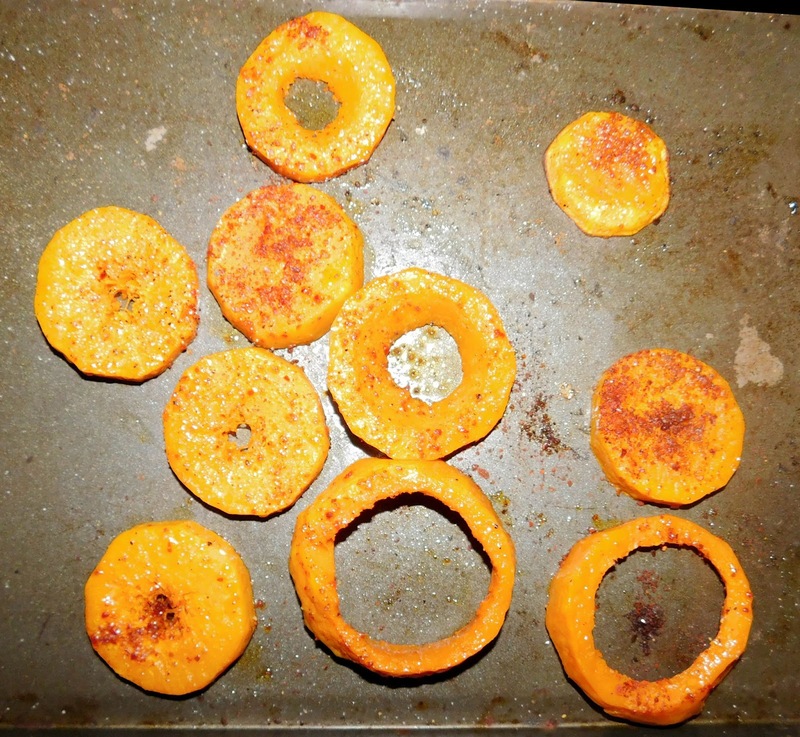 First step was to roast the squash. 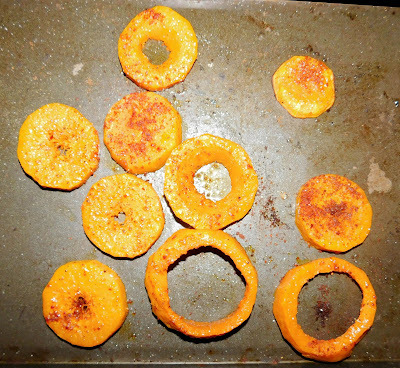 This was my very first time even preparing squash, so I was completely green to how the instructions would have me cook this. It was very easy to prepare and I loved how bright it was. It does require a sturdy knife to cut and you do have to put a bit of muscle behind it, but it's so worth it. The worst part was removing the seeds and pulp, which is reminiscent of a tough pumpkin. My first time pickling anything! Strangely, it was super easy. I'm not sure why I expected something difficult, but I did. It was super easy to cook the onions down and then just set them aside to pickle while making the rest of the meal! The steaks. They are a good size cut, but I did cook them for a bit longer than the instruction card stated for medium-rare. 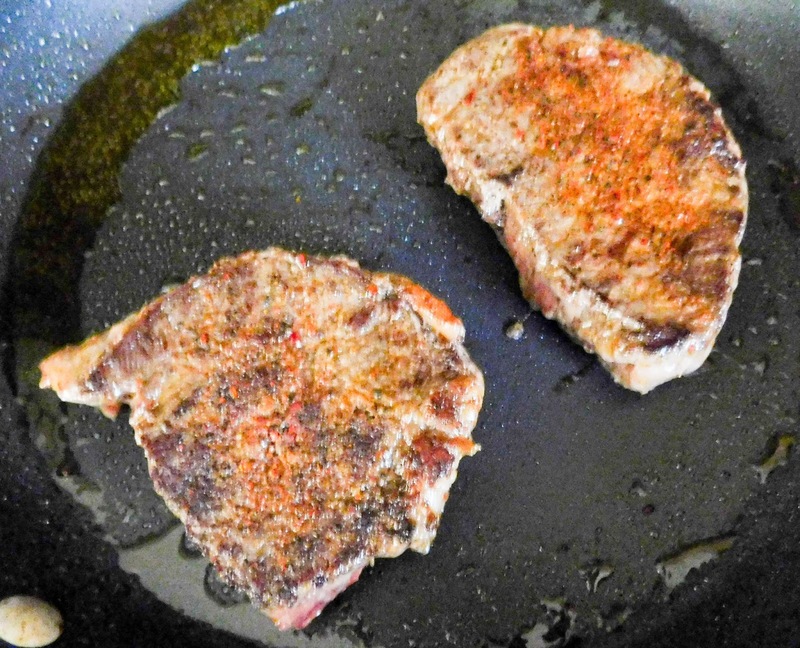 I've cooked steaks plenty of times, but I tend to grill them rather than skillet sear. It's so easy to cook steaks, but the suggested amount of oil was a smidgen more than what I would use in a normal situation. Not pictured was me making the apple-walnut salad. It was super easy but ours did miss the mint due to it being wilted. Overall, the meal was really good. The steaks were tougher than I'm used to, so I would tenderize prior to cooking if you choose this meal. 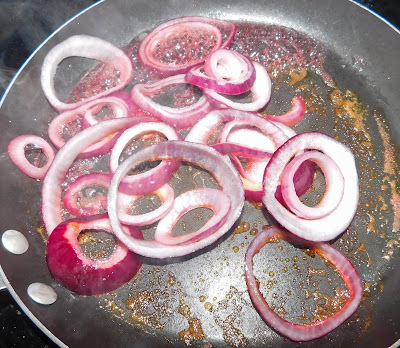 I'm not a huge fan of onions, but the flavor of them and the aroma was a nice addition. Surprisingly, the squash was the biggest hit. I never would have expected my husband to eat them (we're both picky, but he's really picky) and he ended up eating all of them! The salad ended up being a quasi-dessert, but a great one with tons of flavor. I have saved the recipe card and I'm going to make it again in the future! Eating this opened up both of us and I'm going to incorporate squashes into our meal rotations, which makes the entire thing worth trying. As I stated before, you can get two meals free if you click here! As always, let me know what you thought of this box in the comments. There will be two more posts of my other two meals, so be sure to check those out soon!